Two weeks ago we discussed a project manager who changed how they built relationships with clients and consequences they faced as a result but the ended success they did. Last week I told you about a professor who changed how they approached education and the negativity they faced as a result but the happiness they had through the success of their students. This is the conclusion of this three-week journey discussing change. Please let me know how you have enacted change in your life and what consequences you’ve had to push through as a result in the comment section of the blog, or e-mail me directly. The photography industry is riddled with chaos as new ideas, innovation and technology smash full speed against this antiquated tradition of history with devastating impact. Meanwhile, the fitness industry feels an equal level of turmoil as its unprecedented growth has been clouded with an influx of greed, deception and confusion. I happened to merge the two and, for better or worse, position myself in the eye of the storm. As a photographer in the age of digital, I worked to develop new ways to do projects that resulted in a better approach for my clients and myself. What happened then was that I was vilified by the “old guards” of the photo business for stepping all over the way things have always been done. As I grew my business I continued to niche myself, changing and adapting my work and process in efforts to advance my career. When I developed additional success by changing what I saw and doing things differently I was once again vilified by newer photographers for everything from cornering the market to being an egocentric narcissist. 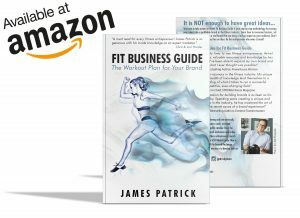 With my business pushing further into the health and fitness industry, I once again saw things that could and should be changed to help more people have a chance of success beyond their wildest expectations. To facilitate this, I started by launching this blog which is nearly a thousand articles strong to help educate aspiring talents and entrepreneurs who wanted to become professionals. I then recorded more than 80 podcasts on the topic. I wrote two e-books on it. I spoke at different conferences and workshops on it. I then invested more and launched my own conference, FITposium, to help fitness entrepreneurs. The result was two-fold. One the one hand, just like that project manager, just like my college professor, I had people try to bring me down. Some tried to say that I owed all my success to them and did not earn it myself. Some tried to get my clients to sign exclusive contracts preventing them from working with me. Some down right said I was not welcome to share my ideas – that I didn’t have that right. But what was the other side? The other side was that I got to watch people take the information my team and I put out, quit their full-time jobs they didn’t love and launch wildly successful careers that made them happy. As my new friend Julie McGraa told me; if you want to see change, you have to do it yourself. Sometimes things are far too important to be left as status quo. Sometimes someone will need to speak up to say that we are going to change this. We are going to make this better. There will be detractors. There will be obstacles trying to slow you down. But if the change you’re trying to enact is important enough – you will not let them deter you. You cannot let them deter you. The reward, despite any and all negative opposition, is seeing the change take hold and how positively it can impact not only your own life, but also the lives of others. That is both the catalyst and the consequence of change. This is so appropriate to my current circumstances! I recently was laid off from the corporate job that had me in shackles. I’m pursuing my love of fitness, integrative health and nutrition. Thank you for the inspiring words!